Ma Anna Tue, a resident of Compound Village in southeastern Liberia, is a subsistence farmer and community leader who depends on her customarily-held lands to collect firewood, medicinal plants, and non-timber forest products to sell to supplement her income. In Liberia, land grabbing is having a profound impact on the wellbeing of local communities – threatening their food and economic security. Ma Anna Tue knows well the extent to which land grabbing has threatened local communities’ livelihoods and their cultural heritage. The destruction of farmlands, food crops, and cash crops, and the pollution of drinking water are common problems resulting from land grabbing by extractive corporations and agribusiness in Liberia. Furthermore, the destruction of community burial sites and sacred areas profoundly impacts a community’s values and traditions and has been known to cause conflict. Women like Ma Anna Tue are hardest hit by the impacts of land grabbing, and are often on the front lines of the fight to defend their lands from these external threats. In 2012, the oil palm company, Golden Veroleum Liberia (GVL) approached Compound Village with a request to plant an oil palm nursery on their customary land. GVL informed Compound Village that the company had received a concession from the government to use a portion of the communities’ land. On December 14, 2012, community members participated in a meeting with GVL that was presided over by the local government-appointed commissioner of the district. During the meeting, some of the GVL Liberia managers asked community members who were present to sign an attendance sheet. Only after they had signed were community members informed that the purpose of the meeting was to gain the community’s consent to GVL’s operations. Ma Anna Tue was more than 50 years old at the time, and not in good health. However, when she saw the police severely beating her son, she approached the ERU to find out what was happening. When she approached, the officers arrested her, beat her, and stripped her naked. She was thrown into the police pickup jeep along with other community members. They were taken directly to prison. After spending almost two years in jail, Ma Anna Tue returned to what little land was left of her plot in early 2018. While she was in prison, GVL had overtaken most of the land owned by the community without respecting its right to free, prior, and informed, consent (FPIC), as guaranteed in international law. GVL is a member of the Roundtable on Sustainable Palm Oil (RSPO). In 2012, several organizations filed a complaint with the RSPO on behalf of communities in Sinoe County detailing violations of RSPO guidelines — including clearing land without the free, prior and informed consent of the customary landowners and failing to properly conduct social and environmental impact assessments of the area. On February 13, 2018, the RSPO released its decision in the case, finding that GVL was non-compliant with FPIC principles, that there were elements of coercion in GVL’s methods, and that GVL did not engage with self-identified community representatives, among others. The RSPO demanded that GVL adhere to a timeline and action plan to make amends with communities where the company operations, or face suspension or even termination of membership. 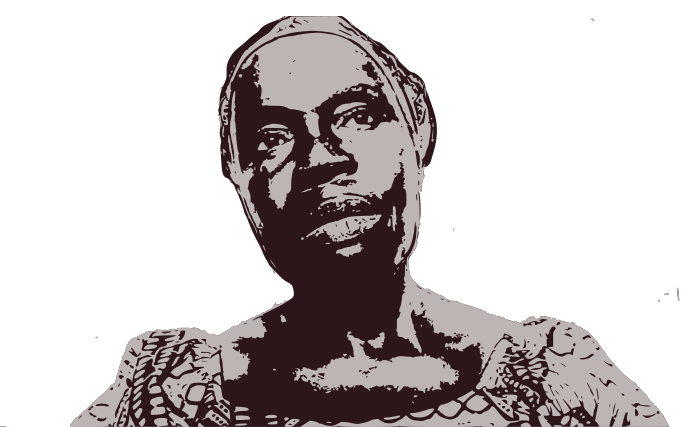 This decision – a result of the courage of community members like Ma Anna Tue and support from civil society allies – will send important signals to the government of Liberia and to the palm oil sector that community rights must be respected.